Current and Forecast Weather for Bradninch, Devon, UK. All times UTC (GMT). You need Flash for the "Current Stats" tab. If you have an "i" device, iPad, iPhone, then try Puffin Browser to get going. The other tabs should be just fine. 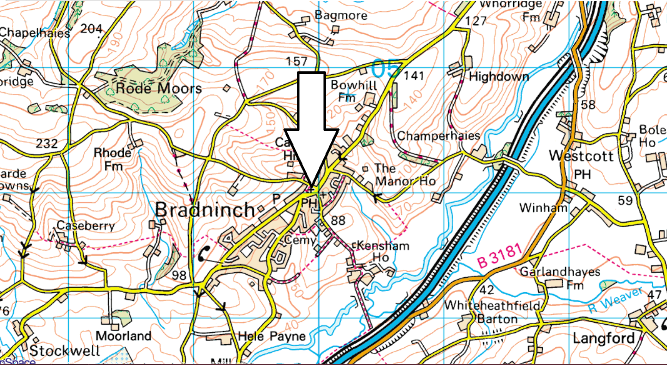 Weather station is located at "The Vaults", Centre of Bradninch. Anemometer is about 2m high, protected from the North by a tall house, South exposure not too bad, but would be nice to get it to 10m.